These salad jars are portable, pretty, and easy to make. 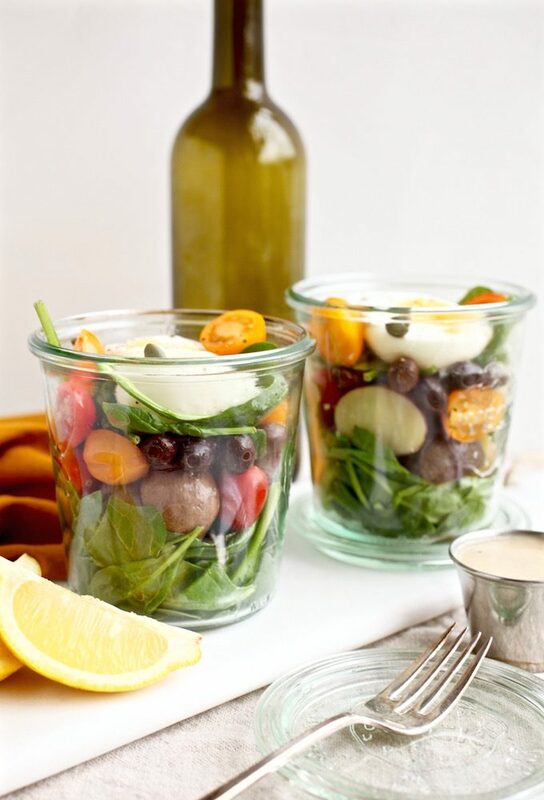 Made with fresh spinach, juicy cherry tomatoes, perfectly boiled Little potatoes, black olives, tangy capers, and hard-boiled eggs topped with a lemony vinaigrette dressing. Prepare the potatoes by heating a large pot of water over high heat. Bring the water to a boil and add in the halved potatoes. Boil the potatoes for 15 minutes or until fork tender, then drain and set aside to cool. Next, prepare the dressing. In a small food processor or blender add in the dressing ingredients and blend until smooth and emulsified. Set aside. Prepare the jars. 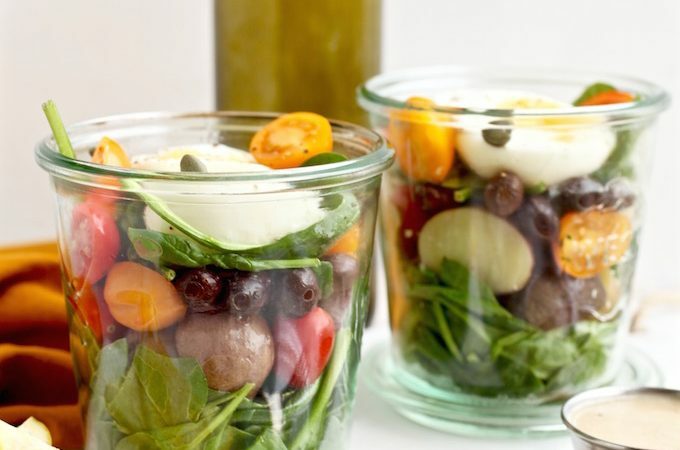 Using two medium to large sized jars (at least 12 ounces) layer in the spinach, tomatoes, olives, cooled cooked potatoes, hard boiled egg halves, and capers. Refrigerate the salad jars and keep the dressing on the side until ready to serve. Once serving, divide the dressing between each jar, give the jars a good shake to distribute the dressing and enjoy!